In October 2015 the Society held the one of annual “clean up and bulb planting” days. The aim of these events is to get the community to regenerate communal areas. 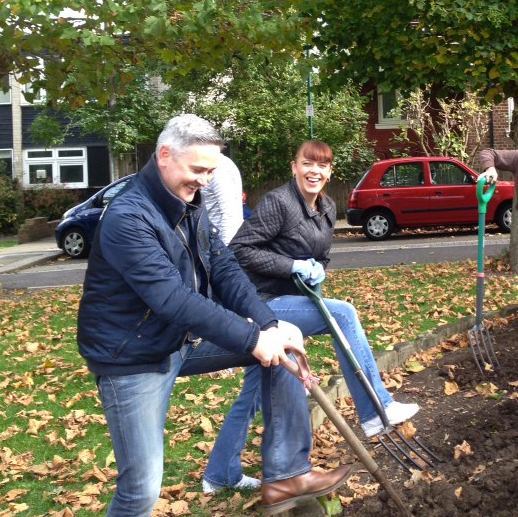 The Nightingale event saw over 50 local residents litter picking, planting shrubs and clearing old and dead vegetation from flower beds. The Nightingale pub kindly brought out some free refreshments, which we were very thankful for. The day not only meant that Nightingale Green get a well needed makeover, but that neighbours and residents got to know each other which was one of our aims; to bring the community together. April 2015 saw the run up to the General Election, and the Wanstead Society was at the forefront of promoting important local issues. 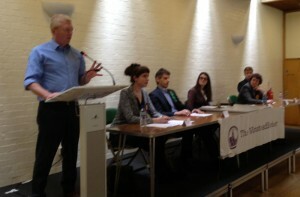 The Society held its second hustings in Wanstead Library; this was the only Q and A session in Wanstead with election candidates and gave the public an opportunity to question political hopefuls on their plans for the future. 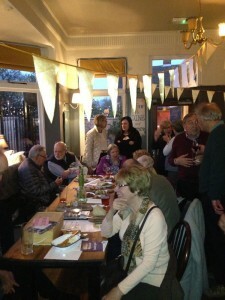 The event was chaired by Hannah Fathering and attracted over 120 members of the public. One of the core aims of the Society is to lobby for Wanstead, Snaresbrook and Aldersbrook and keep a watchful eye on developments. We work with all our elected representatives to ensure they keep the promises made on Election Day. Every year we run social events through the year at local pubs with the aim of getting people together to meet fellow residents. 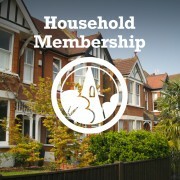 After all, the people that live in Wanstead make Wanstead and we want to promote the friendly nature of our area. 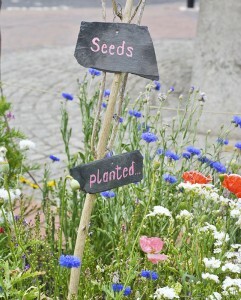 In April 2014 Marian Temple and her planting group seeded the flower beds by Wanstead Station with wild, native species. The flowers have taken and continue to brighten up what were bricked up beds. It’s a great welcome for anyone exiting Wanstead station. For many years the Corner House on the High Street/ junction with Grove Park has had wonderful floral displays throughout the year. This sterling work has been carried out by Marian Temple and her team of Wanstead Society volunteers. Their hard work keeps the garden clean, lively and blooming all year round. Without Marian and her team there would be no garden, nor would it be full of life no matter what the season. The Wanstead Society was also instrumental in saving this iconic Wanstead building from being sold off by Redbridge. We also take part in the annual Seeds for Snaresbrook campaign where we plant tree pits in residential roads with wild flowers. Over 2 Sq KM of area exists if you were to join up every tree pit. The aim is to support the native bird and bug population as their natural habitat are under threat. 2010 saw the first of the Wanstead Society’s bi-annual Art Trails, and we celebrated its 5th anniversary in 2015. A huge success that saw over 150 artists exhibits their work in shops and businesses along the High Street. The aim of the event is to showcase local talent, but also bring people to our High Street. 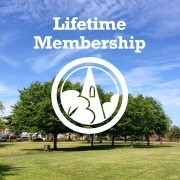 For many years the Society has paid for trees to be planted in Christchurch Park and along the High Street. We are delighted to say that, thanks to the Society, Christchurch Park has no more available empty spots for trees. This work means that Wanstead will continue to be a green and leafy area with a long and lasting legacy. The saga of fighting to keep what remains of Wanstead Hospital open is a long running one. The Society has been fighting to keep the reaming respite care wards open for 5 years. The site is recommended by Health for North East London to be closed and patients sent to Whipps Cross, even though Whipps can’t cope. On 19th October 2015 the Council voted to refer the decision to the Secretary of State for Health in the hope that the wards can remain open. We remain hopeful. The Society joined forces with the Counties Residents Association (CRA), and its members have been campaigning hard to alter the decision of the NHS. Members have campaigned at Council Committees, direct with the Leader of the Council, in the press and at various NHS committees and meetings. The cornerstone of the Society’s existence is to protect and promote the local character of Wanstead, Aldersbrook and Snaresbrook. That means ensuring that alterations to buildings are sympathetic to their surroundings and that new developments adhere to the rules of conservation areas. One of the major successes we have had over the last year has been to prevent the poor design of the old Joliffe site from going ahead. We attended many meetings with the Independent Planning Inspector who agree with us, that the site would not contribute to the overall look of the area.